I realise this is a really old topic, but I found this thread from Google because of the OP's tileset, and I've made my own observations I thought I'd like to add. As has been pointed out - the Game Boy works off of 8x8 tiles, which are then used to represent the more commonly recognise 16x16 tiles. But I've noticed something about the way the maps are, well, mapped out that I wonder is worth taking into consideration with these remake mocks. On top of being 16x16 tiles, the maps themselves are comprised of 32x32 tiles - 4x16x16 tiles that don't ever seem to break from specific groups. It's fairly obvious from this map. There are tiles for "sign and surrounding area", the pattern for roads (or trimmed grass or whatever it's supposed to be), for the segments of houses themselves, even for where a cut tree is situated. I think it's fascinating the way they designed it this way, but I wonder if it's a mechanical thing or if it was something to make it easier on the developers, to create pre-fabricated clumps of tiles. Now, the reason I found this thread is actually because of that "hard mode" tileset - I ripped it! (If the page doesn't load right, my post is "Jirbytaylor" and the original file is here.) I ripped the tiles and compiled them into a single RPG Maker-format chipset/tileset. To be honest, that was a pretty bad idea. You gain no advantages in RM2k/3 by cramming as much as you can into one file. This set is missing tiles and is really more a detriment. I've been trying to make something more efficient and can be used to create Kanto exactly, and split between separate files, but it's not been a priority, so I haven't progressed far. 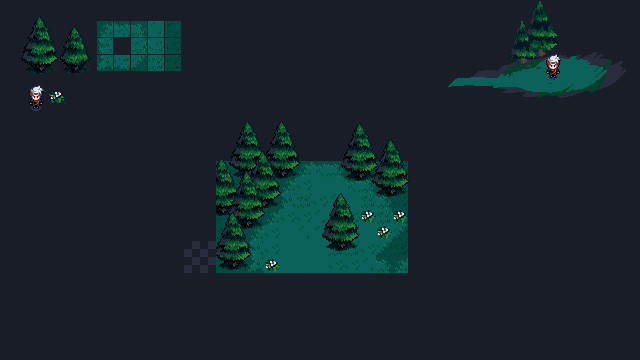 I ripped the tiles and compiled them into a single RPG Maker-format chipset/tileset. Sorry for reviving this old topic, but I mean no harm. I just thought it would be worth showing that I finished the Pokemon Red/Blue sprites revamping project. It sure has some inconsistence, but it's due to its project taking almost 5 years to finish. And my style sure changed along the years. But anyways, hope you'll like it for what it is! That is just beautiful Jinn. In many ways, I've always wanted to do something similar to this. Except that my aims usually also involved modding it all into a Game Boy Advance gen game to carry around and play, as well as display. Not to mention it being a nice resource to design my own quickie pokemon adventures. And I think you totally should! I learnt a lot from it! Trying to work around other's "mistakes" is a nice way to improve. I focused a lot on good shading to make a lineart to look nice even with it's flaws. Some of these were very easy, while others were a pain! It's strange how the same game have some really well drawn sprites (like scyther, magikarp), while others are really questionable looking (like weepinbell, marowak or jigglypuff). Multiple artists, maybe? Anyways, I wonder what are the gba limitations, maybe I could reduct these ones without too much loss and put them into a rom hack just to see how they'd look in action. wow jinn, theyre fantastic. great rendering and colours, and all very recognisable. 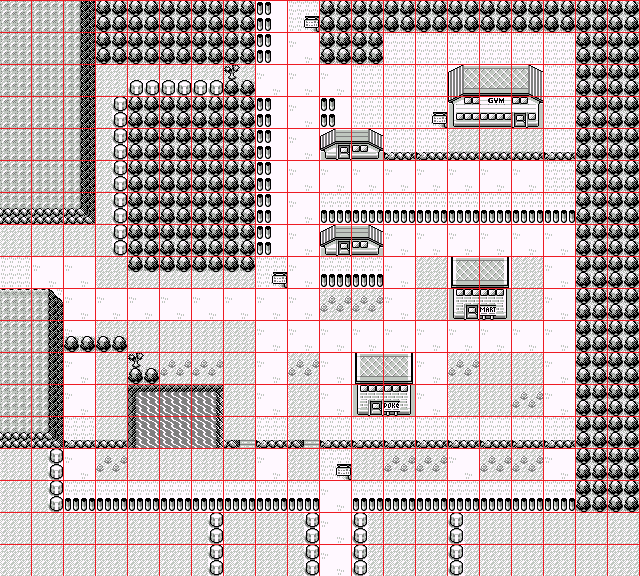 It can be very easy to achieve; the only problem being that your style would clash with the pre-existing Fire Red assets such as maps, trainers, HUD, ect. Not to mention needing Pokemon back sprite versions. I'd like to try that style on the GBA, in my project. It's very similar to my past Fire Emblem material as well, except cooler in temperature. FR/LG Commercial Critique anyone? At last I know I want to push the limits in many aspects of those games, especially in pixel. @Probo Thank you very much!! @Vagrant I like it quite a lot! I wonder how the houses would look in this style, especially the pokecenter!